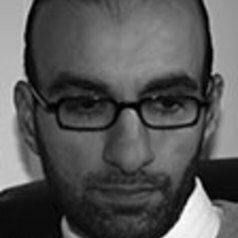 Arshin Adib-Moghaddam is Professor in Global Thought and Comparative Philosophies at SOAS, University of London and Fellow of Hughes Hall, University of Cambridge. Educated at the Universities of Hamburg, American (Washington DC) and Cambridge, where he received his MPhil and PhD as a multiple scholarship student, Prof. Adib-Moghaddam was the first Jarvis Doctorow Fellow in International Relations and Peace Studies at St. Edmund Hall and the Department of Politics and International Relations, University of Oxford. Adib-Moghaddam is a member of several editorial boards and he is co-editor in chief, together with Prof. Ali Mirsepassi (New York University), of the Cambridge book series, THE GLOBAL MIDDLE EAST. He is the author of several books, including On the Arab revolts and the Iranian revolution (Bloomsbury, 2013) and Psycho-nationalism (Cambridge University Press, 2017). In addition, he has published over 50 research articles in scientific journals and books and he has given numerous key note lectures all over the world including in Japan, Qatar, Armenia, the United States, Iran, Germany and the UK. As a critic and philosopher, Adib-Moghaddam is world renowned for his work about world politics, Iran, Islam and the West, and the international/comparative politics of West Asia and North Africa. As a public intellectual, he writes about contemporary culture and global politics and he has appeared in several documentaries produced by the BBC, Al -Jazeera and other TV outlets,. Prof. Adib-Moghaddam’s commentary and interviews have been published by leading outlets including Times Higher Education, Al-Jazeera, CNN, The Guardian, The Independent, Mehr News Agency and the Tehran Times. More recently, Adib-Moghaddam has started to research the impact of ARTIFICIAL INTELLIGENCE on human security.